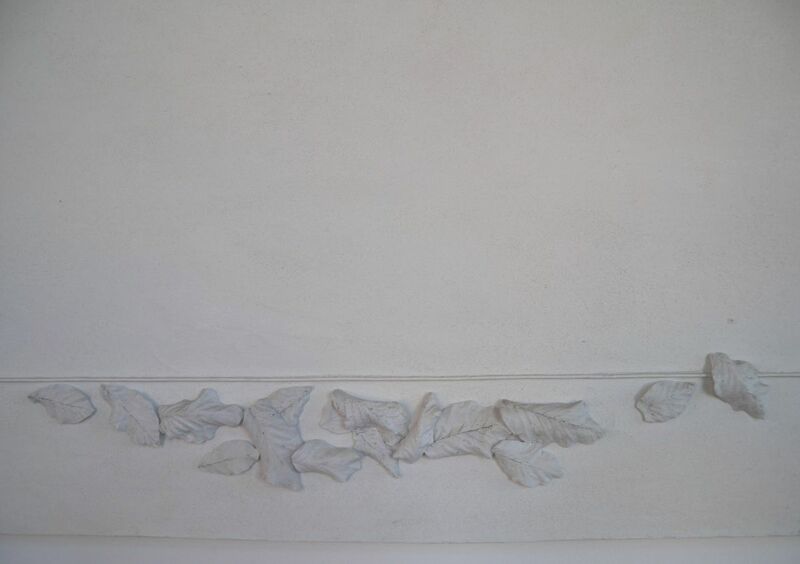 decorative panel of marmorino with white wood inserts and plaster leaves. 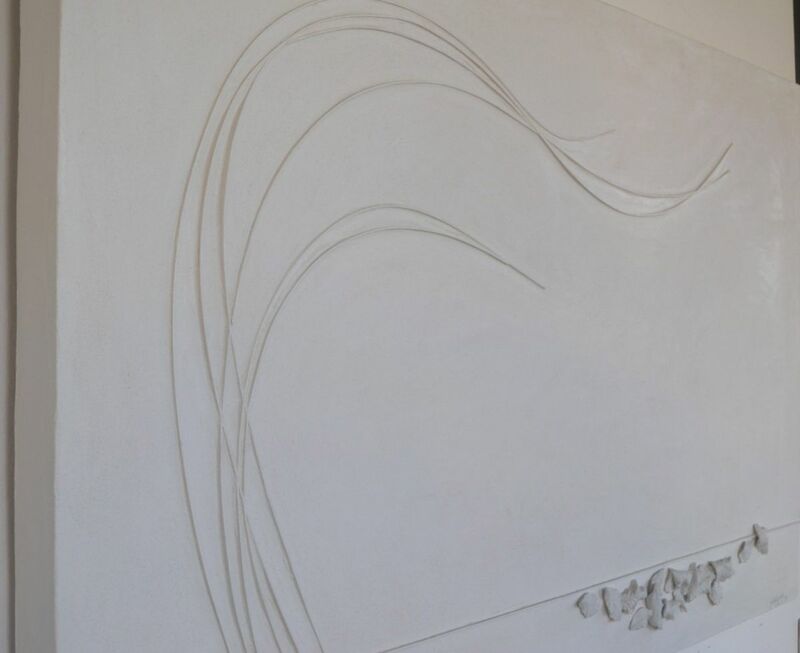 Polystyrene support coated with white cement and white marble powder. 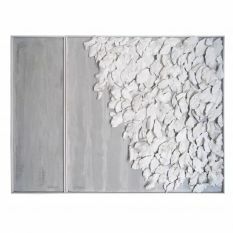 The decorative panel is a unique piece, characterized by the appearance similar to the limestone but by the light support (polystyrene covered in cement). 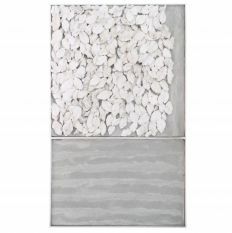 The white wood inserts that move sinuous and the fallen white leaves, remind the bare trees in autumn. from the wind. 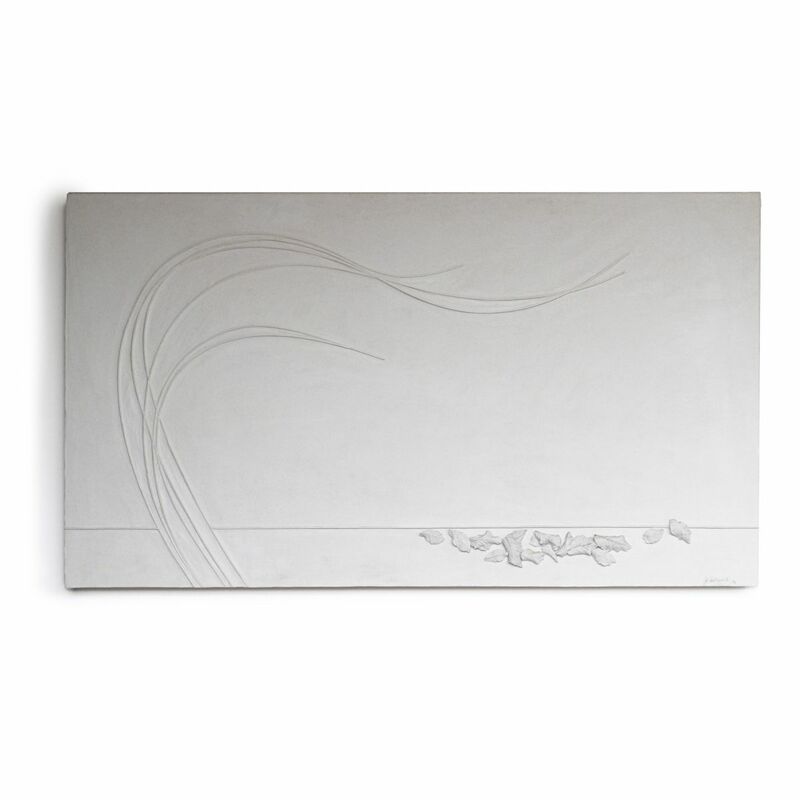 The panel is part of a series of works dedicated to the reinterpretation of natural elements to carry them on the walls of the house with delicate colors and modern materials that fit well into any type of furniture. 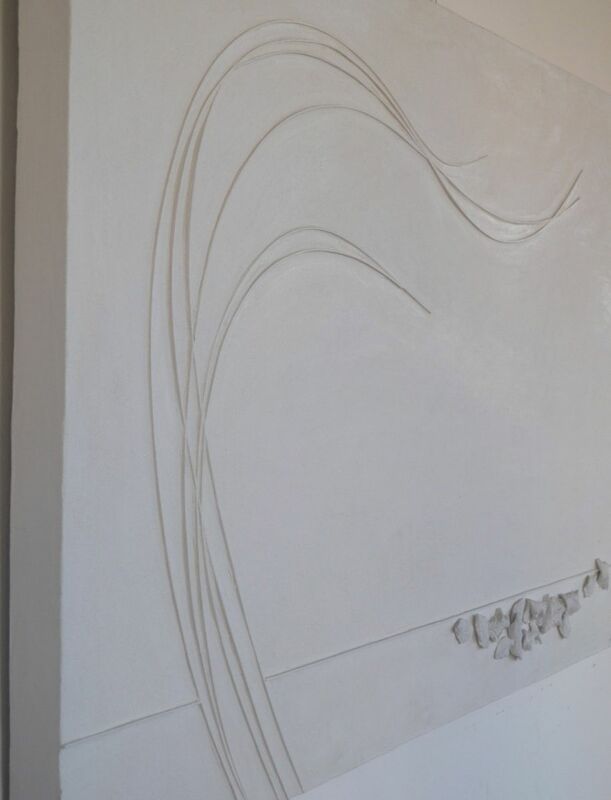 Article not reproducible, unique piece.